What can be said at all can be said clearly; and whereof one cannot speak thereof one must be silent. In this section we will look at some aspects of language, and how it has been used to support religious claims. "When I use a word", Humpty Dumpty said, in rather a scornful tone, "it means just what I choose it to mean  neither more nor less". Words are not always as straightforward as they appear. To take a simple example, descriptive names are not always accurate. As Voltaire (1694-1778) observed, the Holy Roman Empire was neither holy, nor Roman, nor an empire. Again, the Edict of Milan was not an edict, and neither was it issued at Milan. Sometimes a name can be deliberately misleading: George Orwell's Ministries of Truth, Peace, Plenty and Love are classic examples. Sometimes the accuracy of the name is a matter of belief. Christian Scientists presumably regard their faith as scientific. Roman Catholics regard their Church as catholic. Jehovah's Witnesses believe that they bear true witness to Jehovah. In each case members regard the name as an accurate description, while non-members may not. Much confusion arises from the fact that different people interpret the same words in different ways. In some cases this happens naturally, for example because words change their meaning over time. The Holy Ghost has recently become known as the Holy Spirit. The reason is that the word ghost, which originally meant much the same as spirit, has acquired new meanings similar to spectre or apparition. This change is understandable. Words do change their meanings, and to retain clarity it is sometimes necessary to rephrase sentences to retain their original meanings. More worrying is the deliberate changing of a word's meaning, in order to meet one's own ends. Theologians sometimes do this to keep scripture credible after it has been shown to be in error. For example, the Bible says that the world was made in six days, but in the nineteenth century it became widely accepted that it took many millions of years for Earth to form. To reconcile these contradictory facts theologians proposed that the biblical day was not an earthly day of 24 hours, but a heavenly day, which could conveniently be equated with millions of Earth years*. This simple device allows the same words to be used, but the meaning to be completely changed. Using this technique, churchmen never need to acknowledge that they have been wrong. The Jesuits spent much time and effort developing a doctrine called equivocation. The basic idea is that in certain circumstances it is desirable to mislead people by saying something that will be understood one way by the listener but means something else to the speaker. The doctrine effectively permits lying even under oath, as long as it is possible to construe the words as accurate in some sense, however tortuous. Equivocation was popular in England when the authorities were threatened by Catholic terrorist attacks like the Gunpowder Plot. Some Priests and fervent Catholics plotted, and more were suspected of treason. Those accused used equivocation to allay suspicion. Thus a priest wishing to conceal his identity might say that he is "no priest", meaning in his own mind that he is not Apollo's priest at Delphos. If asked if he had ever been beyond the seas he might answer no, meaning in his own mind that he had not been beyond the Indian seas, even if in truth he had sailed to foreign countries for treasonable purposes. The doctrine may sound absurd, but it was adopted, justified and used for centuries. The two examples given are real ones, both used by a certain Father Ward around the time of the Gunpowder Plot in 1605*. Another priest, Father Garnet, wrote a treatise on the subject around the same time, giving practical examples of how to equivocate, and pointing out that Jesus himself had employed the technique. With a little imagination it is clearly possible to justify any untruth using equivocation. A modern Jesuit might say that he believes in the Virgin Birth, while in fact he believes no such thing  in his own mind he might believe it in a figurative mythical sort of way, or he might believe in the phenomenon of parthenogenesis, or something else equally irrelevant. The trick boils down to finding alternative meaning for the words, however contrived. Is not such an idea excessively parochial, presenting God in effect as the tribal deity of the predominantly Christian West? And so theologians have recently been developing a mass of small print to the old theology, providing that devout men of other faiths may be Christians without knowing it, or may be anonymous Christians, or may belong to the invisible church, or may have implicit faith and receive baptism by desire, and so on. These rather artificial theories are all attempts to square an inadequate theology with the facts of God's world. They are thoroughly well intentioned and are to be welcomed as such. But in the end they are an anachronistic clinging to the husk of the old doctrine after its substance has crumbled. 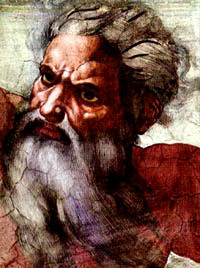 According to the Church of England's current position "It is incompatible with the essential Christian affirmation that God is love, to say that God brings millions into the world to damn them" and "We can see empirically that people are enabled to lead better lives through loyally following other faiths, and this must mean that God is at work in these faiths"*. In plain terms the Church of England (like many other denominations) no longer teaches that "there is no salvation outside the Church". How can any Church abandon one of its central tenets without admitting a massive mistake? The answer is to keep the same words, but change their meaning. In this case the trick is to change the meaning of the word Church. As attitudes became more ecumenical and Christians started to accept that members of other denominations might be saved, the word Church was reinterpreted to mean not merely one particular denomination, but the community of all good Christians. Thus for example Roman Catholics could suddenly accept that Protestants could be saved. More recently it has became popular to believe that any good person might be saved, even a Jew, Muslim, Buddhist, indeed even an atheist. The word Church has had to be reinterpreted again to include this wider group. So now it means a special community of worthy people suitable for admission to Heaven. The Church is a sort of invisible community known only to God. Certain people belong to it, Christian and non-Christian alike, but no one knows who they are. Now the statement "there is no salvation outside the Church" means something quite different. What has happened is that theologians have reversed their position, for they are now asserting that non-Christians can be saved. They are in fact teaching that there is salvation outside the Church (in the original sense of the word). By changing the meaning of a key word, they have been able to continue to use the ancient maxim and thus claim that their position is unchanged. Indeed by switching the meaning of the word Church from one occasion to another, clergymen can enjoy the best of all possible worlds, matching the doctrine to the needs of the moment. Priests will sometimes affirm the original doctrine, and sometimes deny it, without abandoning the wording, simply by redefining the term Church according to the needs of the moment. Similar reinterpretations are used to explain away all manner of inconvenient material. The Bible prohibits the practice of usury. The word usury means simply taking interest on loans. For centuries that was how it was universally interpreted. The prohibition became untenable as capitalism developed, so the word was redefined. Suddenly usury denoted not merely the charging of interest, but specifically the charging of unreasonable interest. Now the Church can claim that it has always disapproved of usury, and in a sense this is true, even though it has completely changed its views on the practice of charging interest. In November 2005, Benedict XVI was quoted as condemning the "social plague" of usury, saying that it should be combated through prevention, solidarity and education. Other words were similarly redefined, and sometimes even changed. The purported reason for altering a word is that the new word conveys better the original meaning, just as the Holy Ghost became the Holy Spirit. So it is that biblical slaves became helpers, clerical wives became female relatives, and concubines became maidservants. Inconveniently, historians have no doubt that the words slave, wife, and concubine still best represent the true meaning. The words helper,relative and maidservant are really euphemisms, intended to detract from the full impact of the original term. We have already seen this technique in use for biblical translations. For sects that believe in the Virgin Birth, Jesus" brothers and sisters become "cousins", and for sects that do not permit clerical marriage, bishops become "elders". According to requirements presbyteroi can be presbyters, priests, elders or even old-timers. Again, the Word (logos) can be rendered as word, idea, message, doctrine, system, book or pre-existent being. By using the same word for several different things it is easy to produce specious arguments. The technique is common. Witnesses turn into victims of persecution simply by changing the meaning of the word martyr. Thousands of early Christian have been acclaimed as martyrs, simply because they were witnesses, i.e. believers. Another popular technique is to invoke human limitations of understanding of the meaning of words. For example God is often claimed to be all-merciful. This does not square easily with his biblical persona. How can an all-merciful God commit genocide, or encourage the killing of children, or punish people for the sins of others? The usual solution to this difficulty is to say that God is indeed all-merciful, it is just that our puny human understanding is inadequate when it comes to comprehending attributes such as divine mercy. It is beyond us. Other inconvenient theological contradictions can be handled in the same way. A perfect God who makes mistakes in creation, leading to suffering, is explained by our failure to understand divine perfection. An all-powerful God who is sometimes unable to perform is explained by our failure to understand divine omnipotence. An all-knowing God who is sometimes ignorant of worldly events is explained by our failure to understand divine omniscience. Our standards are not comparable to those of God, and it is presumptuous of us, even impious, to pretend that they are. To a non-Christian what is happening here is that God is being invested with lots of qualities that humans consider desirable: benevolence, perfection, omnipotence, omniscience  all of them concepts defined by human standards. The words are used to convey the idea that God possesses properties that we consider desirable. But as soon as we start asking uncomfortable questions we are told that these words do not mean what they normally mean  they mean something completely different, but we do not know what. Many people suspect that theologians are trying to have it both ways. The words bear the ordinary meanings when it suits them and mean something else when it doesn"t. Divine benevolence sounds well enough, but if it means something different from human benevolence, we might be excused for asking what it is. At worst divine benevolence might equate to something like human cruelty. This is not merely cynicism, for as the theologians point out, we have no way of knowing what divine benevolence might mean. And these theologians are in no position to help. Like any other human being, as they themselves admit, their understanding is totally inadequate to comprehend God's attributes. We have only one concept of benevolence and that is the human one. If theologians want to apply that attribute to God then they ought to have reasons for doing so. If they want to invoke a different concept of divine benevolence, then they should have the honesty to admit that since they know nothing about it, there is no reason to suppose that it bears any similarity to human benevolence. In that case it is misleading to use the word benevolence at all, because people naturally assume that the sort of benevolence being talked about is the ordinary, familiar kind. Incidentally, many philosophers believe that theologians know perfectly well what they are doing when they use verbal tricks of this kind. Theologians often get away with it because unsophisticated audiences fail to realise that a key word is being given a new meaning part way through an argument. A further source of confusion arises from the use of words that can bear more than one meaning. Consider the assertion that "God is perfect: therefore God is". Here, the first is means possesses the attribute, the second is means exists. The assertion is really "God possesses the attribute “perfect”. Therefore God exists". Suddenly, the argument has evaporated. The assertion that "God is perfect. Therefore God is" can be seen as a trick with words. One might equally well deduce that God is just from the statement that God is just a human invention  this variation on the trick clearly depends upon two different meanings of the word just. Similar games are played with the word know. If we know God, then God must exist in order for us to know him. But the word know has two distinct functions in English. It means both to comprehend and to be personally acquainted with. If one were personally acquainted with God, one would have grounds for believing in his existence. If one merely understood the concept of God, one would not. These tricks are dependent on the language in which they are presented. Other languages have different words for the two meanings of the English word know, for example, French distinguishes savoir (to comprehend) and connaître (to be acquainted with). German makes the same distinction between wissen and kennen. The argument therefore is obvious nonsense if expressed in these languages. Now I want you to realise that the head of every man is Christ, and the head of the woman is man, and the head of Christ is God. Every man who prays or prophesies with his head covered dishonours his head. And every woman who prays or prophesies with her head uncovered dishonours her head  it is just as though her head were shaved. If a woman does not cover her head, she should have her hair cut off; and if it is a disgrace for a woman to have her hair cut or shaved off, she should cover her head. A man ought not to cover his head, since he is the image and glory of God; but the woman is the glory of man. For man did not come from woman, but woman from man; neither was man created for woman, but woman for man. For this reason, and because of the angels, the woman ought to have a sign of authority on her head...Does not the very nature of things teach you that if a man has long hair, it is a disgrace to him, but that if a woman has long hair, it is her glory? For long hair is given to her as a covering. As most theologians would now concede, Paul is simply stating a number of personal preferences, conditioned by his own cultural milieu. But he uses a string of non-sequiturs to make out that there is a better justification for his ideas. Evidently his first argument did not convince even himself, for he eventually appeals to the angels to justify his ideas, and then to the very nature of things. It does not seem to occur to him that "long hair is given" to men as well as to women. If men have short hair, it is only because they get it cut. It is sometimes assumed that all statements formulated in English convey meaning. That this is a mistaken assumption is easily illustrated by a sentence created specifically to demonstrate the point. An example is the assertion that colourless green ideas sleep furiously. The individual words all appear meaningful, and the syntax is unimpeachable, yet the sentence as a whole is nonsense. Unfortunately, it is not always as easy to see that statements are meaningless. Pseudo-scientists and some politicians make a living from the production of plausible sounding assertions and arguments that are entirely devoid of meaning. Mere words can easily give an illusion that matters of substance are under consideration, especially if learned terms are used. The eminent philosopher A. J. Ayer formed the opinion that Christians routinely seek to deceive themselves and each other in this way: "I think it is a very reprehensible form of cheating for someone to utter sentences to which no meaning is attached, and then pretend that he has said something frightfully important ..."*. Yet another form of cheating, as many philosophers see it, is to refuse to accept the usual rules of logic whenever they lead to unwanted results. An example is as follows. Christians traditionally maintain that God is both omnipotent and benevolent. The question then arises as to why evil exists in the world (this is known as the Problem of Evil). How for example could God permit such enormities as the Nazi death camps during World War II? We may assume that he is aware of such things because he is also held to be omniscient , so the possibilities are that either God has no power to prevent evil, or else he does have the power but chooses not to exercise it. If he has no power to prevent it then he is not omnipotent. On the other hand if he chooses not to prevent it then he is not wholly benevolent. The conclusion is that God cannot be both omnipotent and benevolent after all. 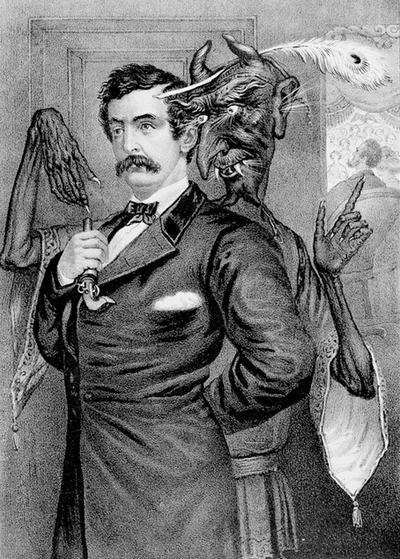 When men, whether from policy or pious fraud, set up systems of religion incompatible with the word or works of God in the creation, and not only above, but repugnant to human comprehension, they are under the necessity of inventing or adopting a word that should serve as a bar to all questions, inquiries and speculation. The word mystery answered this purpose, and thus it has happened that religion, which is itself without mystery, has been corrupted into a fog of mysteries*. Forewarned, we now address the question as to whether important assertions made by Christian Churches are meaningful. The doctrine of the Incarnation asserts, amongst other things, that Christ was both fully God and fully man. Since the Ecumenical Council of Chalcedon in 451, orthodox Christians have tried to justify the doctrine of the Incarnation. Ordinary Christians who trouble to think about the problem often arrive at explanations that are technically heretical. The ancient Nestorian heresy, that God and man coexisted in Christ as two persons, can be characterised as a Clark Kent/Superman type dichotomy. Theologians claim that explanations such as this are simplistic, but they have never themselves been able to formulate explanations convincing to objective outsiders. A major problem is that of how one person can be wholly God and wholly man, when on the one hand God is all-powerful, all-knowing, transcendent and incapable of sin, and on the other man is limited in power, restricted in knowledge, fleshy and sinful. It is a common criticism that theologians" explanations only ever seem to convince those who already accept the doctrine of the Incarnation as a matter of faith. To many disinterested observers, theologians have succeeded in weaving an ever more intricate web of linguistic confusion. Even eminent theologians now ask whether the doctrine is meaningful. As a Regius Professor of Divinity at Oxford has written " ...it seems to me that throughout the long history of attempts to present a reasoned account of Christ as both fully human and fully divine, the church has never succeeded in offering a consistent or convincing picture"*. The same author has asked "Are we sure that the concept of an incarnate being, one who is fully God and fully man, is after all an intelligible concept?"*. Theologians took the approach that a single object can possess two separate properties. Moreover it can possess them both wholly, and at the same time. We may, for example, easily conceive of a coin that is both round and metallic. The fact that it is perfectly round does not make it less metallic, nor does the fact that it is made of metal mean that it cannot be round. This is true, but misleading, for this argument concerns properties that are unrelated. If we look at properties that are mutually exclusive, the picture is different. Few people, for example, would be likely to accept the existence of a coin that is made of 100 per cent gold and also 100 per cent iron. The concept is meaningless. We can conceive of alloys in any proportion of gold to iron that we might desire, but no alloy can be simultaneously both pure gold and pure iron. The hub of the matter is whether the possession of one perfect nature allows the possibility of another. Common sense declares that it does not. Even fictional characters like Dr Jekyll & Mr Hyde (who are provided with one person but two natures) have to share their time between the two natures, for their creators know that the fiction would be meaningless if they exhibited the two natures simultaneously. The fact is that in order for any statement of the doctrine of the Incarnation to be preserved, words like person and nature have to be supplied with such contrived meanings that they cease to be intelligible. Certainly, modern philosophers have difficulty with them, and many have inferred that they are designed to obscure rather than enlighten. If we phrase questions in straightforward English it becomes much easier to provide straightforward answers. How could Christ be fully infallible God if he was as fallible as he often showed himself to be in the gospels? And how could he be wholly mortal man if he was immortal? The only rational answers are that he could neither be wholly man, nor wholly God, much less could he be both. As Paine pointed out, the usual response to straightforward conclusions like these, arrived at by the application of reason, is that it is not for us to question these things; this is a most profound mystery. In practice any mention of profound mysteries tends to conclude discussions on such matters. Theologians feel that the word mystery supplies them with a triumphant ace, while philosophers regard the same word as a coded admission of defeat, another contribution to the "fog of mysteries". The doctrine that God has three persons (Father, Son, and Holy Ghost) arose through a series of deductions based on the teachings of St Paul and his followers. For example, if we accept the premise that Christ was divine, along with the premise that there is only one God, we are driven to the conclusion that Christ and God are in some way the same. A similar argument concerning the Holy Ghost, applied at a later date, led to the conclusion that the Holy Ghost and God were also the same. There are a number of ways in which these conclusions could be accommodated. The obvious conclusion is that God, Christ and the Holy Ghost are identical. In other words Father, Son and Holy Ghost are alternative names for the same being. This conclusion was rejected, apparently because the Bible shows the Father, Son and Holy Ghost to have different physical manifestations, to fulfil separate functions, and to have different levels of understanding. A second possible explanation is that God reveals himself in one of three different ways at different times. Some Christians adopted this explanation, but others rejected it. Those who accepted it (Sabellians, Patripassions, or Modal Monarchianists) were persecuted out of existence in the fifth century, although the Eastern Churches would accuse the Western Church of Sabellian heresies for centuries to come. 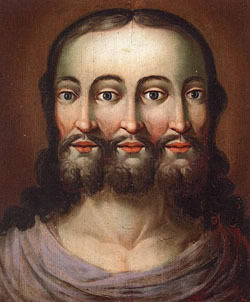 A related idea was that the three persons of the Trinity represented three different aspects of God. For example Pierre Abélard identified the Father, Son and Holy Ghost as Power, Wisdom and Goodness respectively. A third solution is to reject one of the premises. Either there was more than one God, or Christ was only a man after all and whatever the Holy Ghost was, it was not divine. Some people adopted these explanations. Tritheists, who believed in three separate Gods, were eliminated by the sixth century. Arians, who believed that Christ was not as exalted as the Father, were enormously influential in the fourth century and almost became the principal (i.e. orthodox) line, but were eventually defeated. Macedonians denied the godhead of the Holy Ghost and were also eliminated. The compromise eventually adopted was that God has one substance but three persons. Whether or not this statement actually means anything is open to doubt. Certainly it is difficult to see what the word person means in this usage. And the position was no better in the original formulation of the doctrine in Greek. Fierce arguments raged for centuries over the minute differences between alternative Greek words used in early formulations of the doctrine. Like so much Christian doctrine the concept of the Trinity seems to be unintelligible to anyone who does not already believe in it (and indeed it seems to be unintelligible to many who do). It is not at all clear what it can possibly mean for the Trinity to represent a single godhead. The statement that God has one substance but three persons looks superficially like a meaningful statement, but until someone succeeds in expounding this meaning we have no reason to suppose that it signifies any more than the assertion that invisible green ideas sleep furiously. It is as though there are really three separate gods, but in order to maintain a fiction of monotheism, they are said to represent a single godhead. By analogy it would be possible to contend that the gods of, say, ancient Greece were really representations of a single deity. The fact that each so-called god had a separate manifestation, a separate role, and a separate intelligence, would be of no consequence. They would be, as the argument might run, simply different aspects of a single natural universal force, in other words different facets of the same god. Clearly it would be possible to apply a similar argument to any religion and prove it to be monotheistic. Indeed some ancient Greek philosophers did argue that their religion was monotheistic, despite its extensive pantheon. Some modern Hindus make similar claims for their religion, again despite its extensive pantheon. Such arguments would be as satisfactory, or unsatisfactory, as the one presented to support Christianity's claim to monotheism, at least so far as the Trinity is concerned. For many philosophers it is tempting to conclude that the concept of a three-in-one deity is no more than a linguistic deceit, devised to reconcile the fact that Christianity makes contradictory claims. These claims are that on the one hand there is only one God, and on the other that there are three Gods: God the Father, God the Son, and God the Holy Spirit. This contradiction is another mystery. This phraseology appears to suggest that, at least at that particular meal, the bread and wine changed into Jesus" flesh and blood. However, this seems unlikely in view of the fact that Jesus was still there at the meal, and presumably still clothed in his human flesh. A possible explanation is that in most Middle Eastern languages (notably Aramaic) there is no easy way of distinguishing between the statements "A is B" and "A is like B" or "A represents B". So, even assuming that Jesus did utter the words reported, it seems likely that he intended a figurative interpretation. In any case, one might have thought that the correct interpretation could be discovered easily enough for later re-enactments of the Last Supper: if at the Eucharist the bread and wine was transformed so that it looked and tasted like flesh and blood then a conversion had taken place. If it continued to look and taste like bread and wine, then these items were merely tokens, and the act purely symbolic. No chemical change has ever been shown to take place, so the obvious conclusion is that they are indeed mere tokens, and the words are to be interpreted figuratively. Medieval Christian scholars chose to ignore this conclusion and formulated a theory that depended upon concepts used by Aristotle and other ancient Greek philosophers. A distinction was made between on the one hand the substance of the bread and wine, which they said was changed into flesh and blood, and on the other the so-called accidents (or outward appearance), which they said remained unchanged. 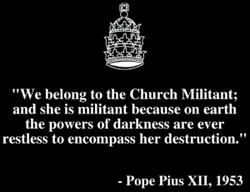 This encapsulates the doctrine of transubstantiation as declared by the Fourth Lateran Council in 1215. Unfortunately, later philosophers pulled the rug from under this doctrine, for the distinction between accidents and substance was recognised as illusory and unhelpful. At the Reformation the Protestant Churches took the pragmatic view that the Eucharist was purely symbolic. The doctrine of transubstantiation was rejected by most Protestants and by the Church of England (see Article 28 of the 39 Articles of the Anglican Church). The Orthodox Churches have skirted around it. Lutherans and some other Christians tried for a compromise, asserting that the substance of the bread coexisted with Christ's flesh, and the substance of the wine coexisted with his blood. This idea is called consubstantiation. It is open to much the same criticism as transubstantiation, in that it depends upon philosophical concepts that are no longer respectable. The Roman Catholic Church is still committed to its position of 1215  a position that philosophers and semiologists regard with some bemusement. It is rather as if a man were to claim that his pet rabbit had been transformed into a fish. He freely concedes that it still looks and behaves like a rabbit. It still breathes air and would drown in water. It is fond of lettuce and carrots. It will breed with other rabbits. Its skeleton is like that of other rabbits. No conceivable test will reveal it to be anything other than a rabbit, even if its molecular structure is examined in the finest detail. Yet the man persists in claiming that it is really a fish, and he holds that only its outward appearance is that of a rabbit. He concedes that the animal looks like a rabbit, but asserts that at some deeper level it is really a fish. What he is doing is disregarding what it means to be called a rabbit. He is ignoring the accepted meaning of the word rabbit, for rabbit is the noun applied to animals with certain characteristics, just as fish is the noun applied to animals with certain other characteristics. He is either unwittingly deceiving himself or consciously trying to deceive others. Either way, he is relying upon an elementary trick with words and would be unlikely to convince many ordinary people that his pet had merely the appearance of a rabbit and that its real, but mysteriously hidden, nature was that of a fish. The doctrine of the atonement asserts that Christ's death reconciled humankind to God. The idea is that Original Sin, and other sin, is an insult to God. Any crime against God is so serious that it deserves eternal punishment. Guilt for such crimes is so great that it cannot be expiated by human beings themselves. To wash away this guilt requires that God himself (in Christ) must suffer and die through sacrifice, and this expiation is not merely sufficient, but more than sufficient to redeem humanity. In the Middle Ages, at a time when the law frequently required compensation to be paid to expiate a crime, theologians saw the atonement as a sort of compensation paid to God. Today, the sacrifice is often seen merely as an example to mankind. For our purpose the important point is that theologians almost invariably refer to the Atonement as though there were some sort of conventional causal relationship: "Christ died in order to save us", "We are saved through the blood of Christ", "We are redeemed because Christ was crucified", and so on. These formulations link two statements of the essential meaning "Christ was killed" and "We are saved". If they did so with a conjunction such as "and" there would be no problem because both elements stand alone, the first part as a matter of fact, and the second a matter of faith. By employing the word "therefore" instead of "and" the position is changed completely. "Christ was killed, therefore we are saved" appears to confirm a matter of faith by reference to a matter of fact. To take an example that shows up the flaw more clearly: if we were reliably informed that Mr Smith had died, and if we accept that cabbages are green, we could accurately state that cabbages are green andMr Smith is dead but we should be unwise to formulate the proposition that cabbages are green therefore Mr Smith is dead. Only if we could establish a causal link would we be justified in making such a statement. Of course, none of this establishes that there might not be a causal relationship in propositions about the Atonement but, if there were, we might reasonably expect to hear about this causal relationship. If Christian theologians elect to give their teachings the form of rational arguments, then we expect to hear a clear formulation of their reasoning. As it is, we have only disjointed statements that mimic the form of rational arguments, and, to make matters worse, appear to contradict everyday experience. It is difficult to see exactly what was achieved by the death of Jesus, for the world seems to have been much the same after the crucifixion as it was before. If Jesus came to eliminate sin, he does not seem to have been altogether successful. Also, if self-sacrifice is so potent, why do other voluntary sacrifices have so little effect? Many men and women have sacrificed their lives in much more testing circumstances than those experienced by Jesus. Moreover they have often done so to save a single child, or a friend, or even a stranger. Why are their sacrifices not more potent? Objectively, they are more impressive than that of Jesus, for the people involved have no certainty of eternal life as we are told Jesus had. Indeed, many are quite convinced that their sacrifice will mean the total and absolute end of their existence. No doubt the fact that Christ was also God incarnate was a significant factor, but its relevance has never been explained. Without an explanation, one could reasonably deduce that linking statements together in such a way as to suggest a causal link is another form of what A. J. Ayer called cheating. The misuse of conjunctions such as because, therefore, so and consequently is common in sermons, hymns and theological discourses. Such words may sometimes be seen as vehicles for misleading the unwary into drawing invalid conclusions from premises, even when these premises are themselves valid. My dear child, you must believe in God in spite of what the clergy tell you. .... no man hereafter shall either print, or preach, to draw the Article aside any way, but shall submit to it in the plain and full meaning thereof: and shall not put his own sense or comment to be the meaning of the Article, but shall take it in the literal and grammatical sense. Belief in the literal truth of all manner of things (the infallibility of the Bible, the Virgin Birth, the Resurrection, etc.) were all once absolutely necessary to the faith. Anyone who did not believe them could not possibly be a Christian. Today, however, they are widely disputed, even in relatively conservative quarters. Where questions of religion are concerned people are guilty of every possible kind of insincerity and intellectual misdemeanour. Philosophers stretch the meaning of words until they retain scarcely anything of their original sense; by calling "God" some vague abstraction which they have created for themselves, they pose as deists, as believers, before the world; they may even pride themselves on having attained a higher and purer idea of God, although their God is nothing but an insubstantial shadow and no longer the mighty personality of religious doctrine*. The Devil, like God, has also become increasingly abstract. Few people in Europe believe in a personal Devil, and theologians now say that the concept is only a sort of analogy, personifying evil. It therefore came as rather a shock to many of the faithful, and indeed made newspaper headlines, when Pope John Paul II announced in the 1990s that he still believed in such a being. Fifty years earlier the Pope would merely have been confirming what all Christians knew. By the 1990s his traditionalist views of Satan and his realm seemed unusual. Many Christians had abandoned the idea of his Satanic Majesty ruling over a kingdom of eternal torture. The idea of a God of infinite mercy allowing such a thing did not fit modern tastes. It turns out that making God into a sadistic monster responsible for Satan and Hell was not merely mistaken but, according to Anglicans, it was blasphemous*. Again it turns out that the soul is not to be understood in the traditional way, but as the "information-bearing pattern of the body", which might be held in the mind of God after death. Again, Christians always used to know that religious doubt pointed the road to certain damnation: "He that doubteth is damned" (Romans 14:23). Now bishops and archbishops assure us that doubt is not only permissible, it is an essential part of faith! By redefining words like devil, Hell, faith and damnation it is possible to make traditional texts mean exactly the opposite of what they originally meant. Satan often wore female clothing before he faded into non-existence in the twentieth century.. Traditional affirmations of belief are routinely ignored. The fourth of the 39 Articles of the Anglican Church asserts that Christ ascended "with flesh and bones" and that he is now sitting in Heaven, yet the Archbishop of Canterbury's Commission on Doctrine declared in 1962 that such descriptions are "to be interpreted symbolically". In the past it was universally held that the Bible was literally infallible. A few Christians still believe this, but most have long abandoned such beliefs. On the other hand, if the word infallible can be redefined so that it means something new and sufficiently abstract, even modern scholars can agree that the Bible is infallible. Here is an extract from the preface of the NIV. …the translators were united in their commitment to the authority and infallibility of the Bible as God's Word in written form. Taken at face value this statement is wholly inconsistent with the footnotes that these same translators have provided to their translation, so the word infallible is presumably to be understood in some mysterious, figurative way. This seems to be another case of manipulating words to paper over controversial areas. It sounds as though the translators are faithful to the traditional line, accepting the infallibility of the Bible, which keeps the masses happy. In truth they share the scholarly consensus, and their statement means something quite different. We cannot know exactly what they do mean because we cannot know what the word infallible means in this context  whatever it means it does not preclude the translators noting hundreds of imperfections in "God's Word". Prayer would effect a cure, the patient would get up out of bed, and if the illness were caused by sin (rather than by demons) then the sin would be forgiven. But how to explain the fact that many sick people died, however much praying went on? Evidently the assurance was false, or priests and bishops did not qualify as genuine Church elders. However, if we re-interpret the words, we do not have to make such an admission. By assigning new meanings to "save the sick" and "raise him up" it is possible to make the sentence mean something completely different  nothing at all to do with healing the sick, but rather a matter of spiritual salvation. The passage cited above is the justification for the "extreme unction" (last rites) given by the Roman Church to those believed to be dying. Almost all of those believed to be dying do indeed die soon afterwards, and no one notices that this contradicts the original meaning of the biblical assurance, because it is now taken to mean something else. According to the Church of England such passages "are not intended to provide literal depictions of the event, as though Jesus were a space traveller returning to Earth. They refer, in the far more profound language of biblical imagery, to the manifestation in this world of that which is already true of Jesus Christ in Heaven"*. This "profound language of biblical imagery" seems to have escaped earlier believers. 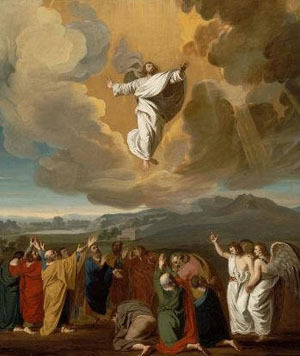 All Christian authorities agreed for almost two millennia that Jesus would physically reappear descending from the sky. He is as convinced as I am that a corpse cannot come back to life or rise from the grave, that there are no demons and no magic causality. But how am I, in my capacity as pastor, to explain in my sermons and classes, texts dealing with the resurrection of Jesus in the flesh, with demons, or with magic causality*. The titles commonly attributed to Jesus are largely unwarranted. They were appropriated by his early followers from other contemporary uses and their meanings were then changed in different ways by different factions to suit their own ends. Clergymen cannot tell this to their flocks. They would be offended and upset. Many priests therefore join an unofficial conspiracy of silence. In all mainstream Churches there is a convention that priests and ministers do not talk too much about the views of Church scholars, at least not sympathetically. It is not unusual for theologians to proclaim the traditional literalist view when speaking to the faithful masses, and another when speaking to other theologians, who like themselves believe almost no literal truths at all. It is for example common for senior theologians to affirm the Virgin Birth in public, and to deny it (and even ridicule it) in private. The phenomenon is not new. In the early fifth century a respected philosopher called Synesius was chosen as Bishop of Alexandria. He accepted on condition that he might "speak in myths" in church, and that he would still be free to "think like a philosopher" in private. Synesius was not even a Christian. This is a Christian cartoon. Jesus said to them "But whom say ye that I am?". And Peter answereth and saith unto him "Thou art the eschatological manifestation of the ground of our being, in the kerygma of which we find the ultimate meaning in our interpersonal relationships" (cf. Mark 8:29). The greatest irony is that the position of modern theologians is similar to that of Greek and Roman priests before the birth of Jesus. Those priests generally came from prestigious families and were well educated. They did not believe literally what their religion taught, but could not say so openly. The priesthood saw religious stories as myths that embodied great truths and were not to be understood literally. They too joined an unofficial conspiracy of silence. The educated elite who staffed the pagan priesthood developed theological ideas remarkably similar to those of modern theologians. Cato wondered that two of them could look each other in the face without laughing*. § Father Garnet's examples included Jesus claiming not to know when the end of the world would be (Matthew 24:36 and Mark 13:32), and Jesus saying that Jairus's dead daughter was not dead (Mark 5 and Luke 8). § The Arian dispute boiled down to whether to use the word homoousion (of one substance with) or homoiusion (of like substance to) to describe the relationship between the Son and the Father. Thus the gibe that "Christendom was convulsed by a diphthong". § Some scholars believe that these words were added to texts at a relatively late date, and that the whole idea is copied from contemporary religions. For present purposes we are only interested in the meaning of the words, whenever they were written, whoever wrote them, and for whatever reason. § If Christ's sacrifice provided superabundant restitution, it is not clear why anyone should ever be condemned to Hell since the crucifixion  but this is a different problem. §. No biblical justification could be found for equating a day with millions of years. The best available was "For a thousand years in thy sight are but as yesterday when it is past, and as a watch in the night" Psalm 90:4. §. Fraser, The Gunpowder Plot, p 242. §. John Hick, Professor of Theology at Birmingham University, in (ed. Hick) The Myth of God Incarnate, p 180. §. Quoted from the report of the Doctrine Commission of the Church of England, The Mystery of Salvation, by The Independent, 11 th January 1996. §. Sir Alfred Ayer, quoted by Gerald Priestland in The Case Against God, p 84. §. Paine, The Age of Reason, Pt I, p 63. §. Maurice Wiles in (ed. John Hick) The Myth of God Incarnate, p 4. §. Maurice Wiles (ed. John Hick) The Myth of God Incarnate, p 5. §. Sigmund Freud, The Future of an Illusion (Hogarth Press, 1927), Ch VI (translation by W. D. Robson-Scott). §. For a comprehensive exposé of various attempts by theologians to reinterpret traditional Christian teachings see Wells, Religious Postures, especially Chapters 3, 4 and 5. §. Roy A Rappaport, Ecology, Meaning and Religion, North Atlantic Books (Richmond, California, 1979) p165. §. The Mystery of Salvation, published in January 1996 by the Church of England's Doctrine Commission. §. The Mystery of Salvation, published in January 1996 by the Church of England's Doctrine Commission. Reported in The Independent, 11 th January 1996. Was Jesus raised bodily from the dead, three days after his crucifixion, or did he make his personality and presence known to his disciples in a spiritual, not bodily, way? Only 77 per cent of full-time clergy agreed that he had been raised bodily. Do you believe that gospel miracles are mostly historical facts, mostly gospel writers" interpretations, or mostly legends? Only 62 per cent of full-time clergy agreed that they were historical facts. Do you believe that the Virgin Birth is an historical fact or a legend? Only 68 per cent of full-time clergy (and only 67 per cent of suffragen and assistant bishops) believed that it was an historical fact. The clergymen were selected at random from Crockford's Clerical Directory. Not enough bishops were willing to participate for their results to be statistically significant, and their views were not therefore reported. See The Times, 10 th December, 1984. Church of England clergy are now discouraged from participating in such polls  apparently because many churchgoers are unhappy about the results. §. Rudolf Bultmann and Karl Jaspers, Zur Frage de Entmythologisierung(Myth and Christianity), translated by Norbert Guterman (New York, The Noonday Press, 1958), pp 60-61. §. Frances Young in (ed. John Hick) The Myth of God Incarnate, p 15. §. Cicero, himself an Augur, cited with approval Cato's comment. Cato was referring to haruspices (diviners). CiceroDe Divinatione, ii, 51 , cf. De Deorum Natura, i, 71-2.